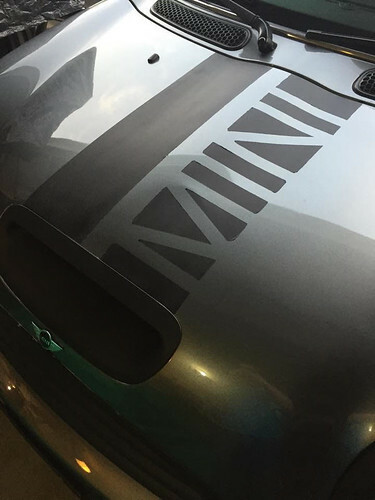 Club member Joshua Alicea is starting up a new business JBM Customs performing custom interior and exterior Plasidip work and is offering Chicago MINI Motoring Club members a 15% discount on services. Thanks for making this offer available to our club members!! 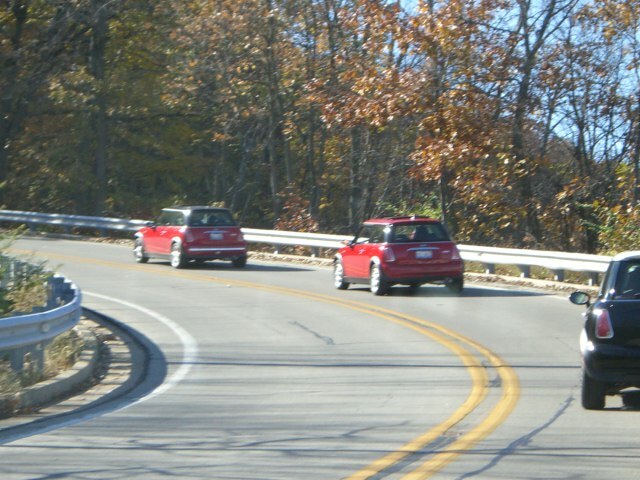 WRAPUP: A beautiful day brought out 28 MINIs for a great little drive over some back roads out to Woodstock Square. Several first-timers joined in as well as a number of people who havent been to an event in many years. Huge thanks to Tiffany for helping with the planning and ideas for the drive!! 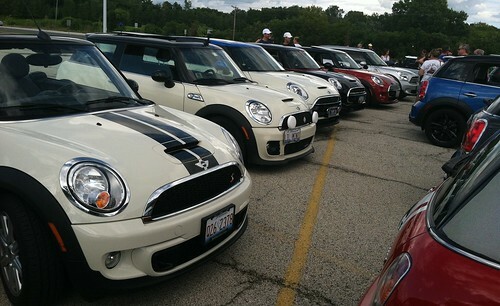 MINI Takes the States is fast approaching, and many Chicago area people will be attending. Post up and let us know what legs you will be doing or if you are looking to hook up and caravan out together.. 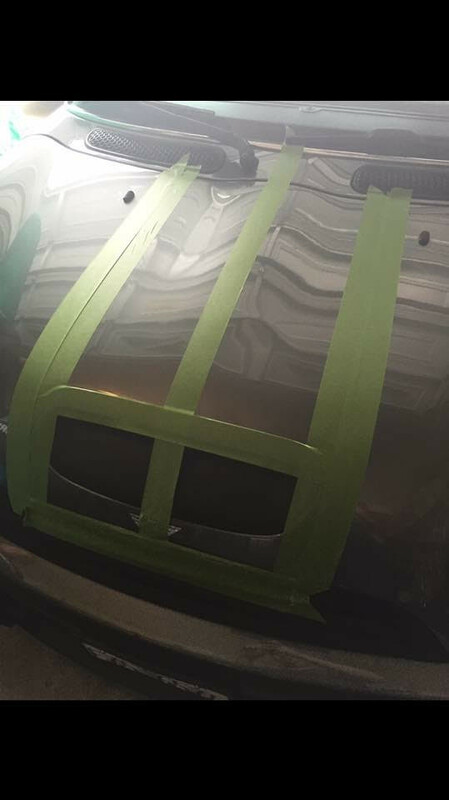 Checking for interest for people to participate in the Collectors Car Garage Rise and Drive event on Sunday July 1st. 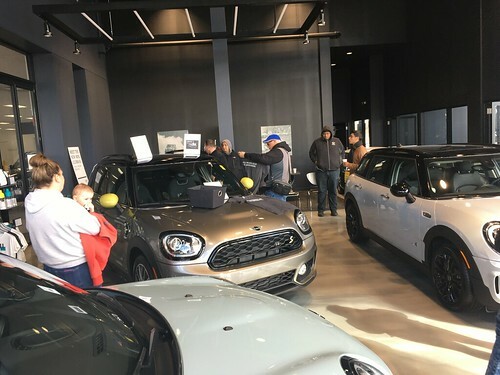 The Chicago Alfa Romeo Owners Group has invited the Chicago MINI Motoring Club and the Milwaukee MINIs to come on out to their Blackhawk Farms Raceway Drivers School & Lapping Day on June 9th to hang out and take some Lunchtime touring laps. WRAPUP: A wet morning quickly cleared up and turned into a beautiful day.. Plenty of interesting and exotic automobiles to look at, both new and old. 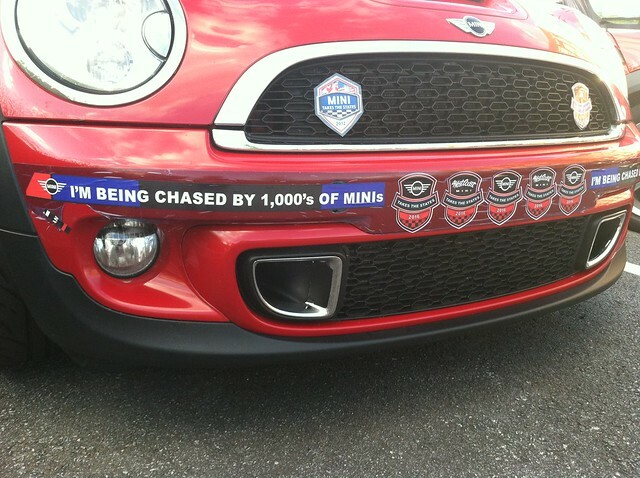 We had 5 MINIs at the event, and got a chance to do close to an hour of touring laps, with top speeds limited to about 70mph.. Fun times were had by all.